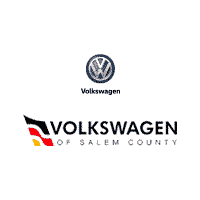 You don’t have to cringe when you come into work at Volkswagen of Salem County. We have a wonderful working environment that is filled with some of the best and brightest people around. Our employees are a strong part of who we are, and we want to make sure that we have the best people for the job. If you have great interpersonal skills and a dedication to the job, then you might be the perfect candidate. Fill out the application form, and we will see how you can fit into our business. If we like what we see, then we will be in touch with you right away. We thank you for considering us during your employment search, and we hope to see you soon. In addition to coming to a job you truly enjoy every day, (does it get better than that?) we also offer a full benefits package. “So how do I apply?” Well, it’s as easy as filling out the form. By doing this, your information will get in front of the people that need to see it.